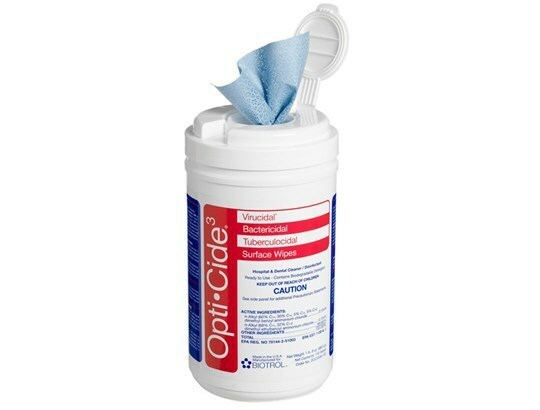 Disinfectant Wipes - Size: 6" X 10"
OptiCide3 is a ready-to-use cleaner that provides broad spectrum disinfection. Created especially for dental facilities, this fast-acting formula will protect you, your patients and your operatory. Strong OptiCide3 wipes won’t lint or leave residue. Wipes dimensions are 6 x 10 inches and sold in quantities of 100 wipes per canister. Minimum order of 1 canister.